Rider Interview: Nick Schultz has stepped up in the best possible fashion in 2019. 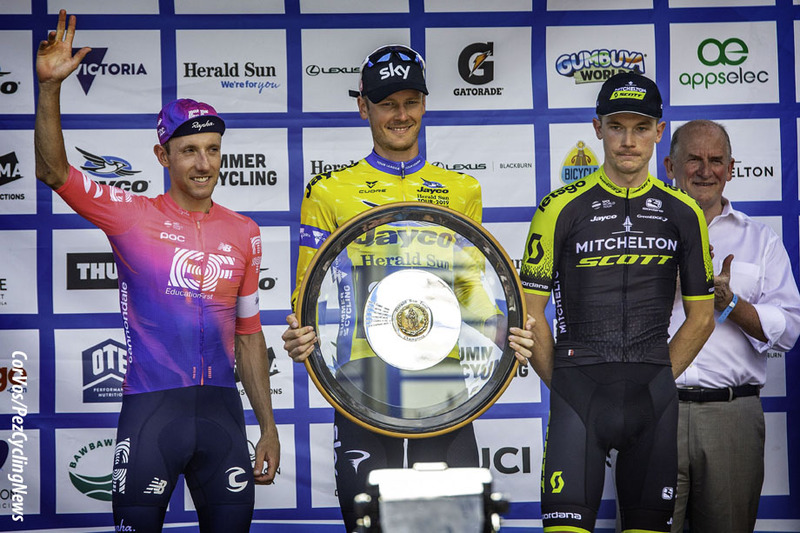 The young Australian made the move from the ProContinental Caja Rural-Seguros RGA team to the WorldTour with Mitchelton-Scott and immediately showed his gratitude with a win in the Herald Sun Tour. Ed Hood spoke to Nick after his win. The last time we spoke to Aussie pro, 24 year-old Nick Schultz he’d just made the podium in the GP Miguel Indurain, last spring. 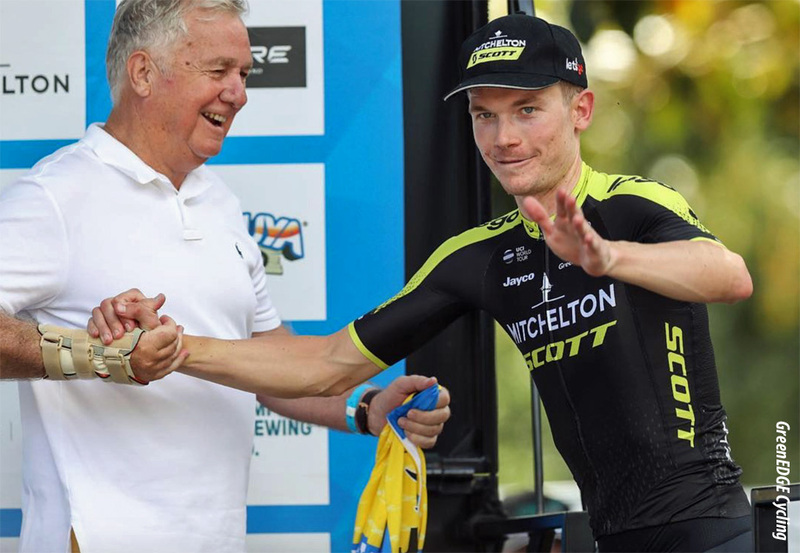 This year he’s moved up a level from ProContinental Caja Rural-Seguros RGA to World Tour Mitchelton-Scott – and to let them see they made a good decision in signing him, he won Stage Four of the recent Herald Sun Tour, ‘down under’ and took second overall on GC. The breakthrough season for the man from Brisbane was 2016 with stage wins in the Tour de Bretagne and Tour de l’Avenir which saw him land the contract with Spanish Pro Continental squad Caja Rural for two seasons. But it was 2011 when Schultz first showed on the radar with a win in the Oceania Junior Time Trial Championships and there was also a silver medal on the track in the Australian Junior Points Race Championship behind a certain Caleb Ewan. On the road there was a second place in the prestigious Italian junior race the Trofeo Emilio Paganessi behind Davide Martinelli who’s now in Deceuninck - Quick-Step colours. A year later he was third in the National Junior Road race Championship and in the team which was second in the National Team Pursuit Championship. For season 2013 he was with French team C4RC with a win in Aix-les-Bains and another for them in 2014 with a stage win in the Boucles de l’Artois. There was also a stagiaire ride with the Etixx feeder team that autumn. In 2015 he was back with CR4C with seventh overall in the Tour de Gironde the hi-lite. 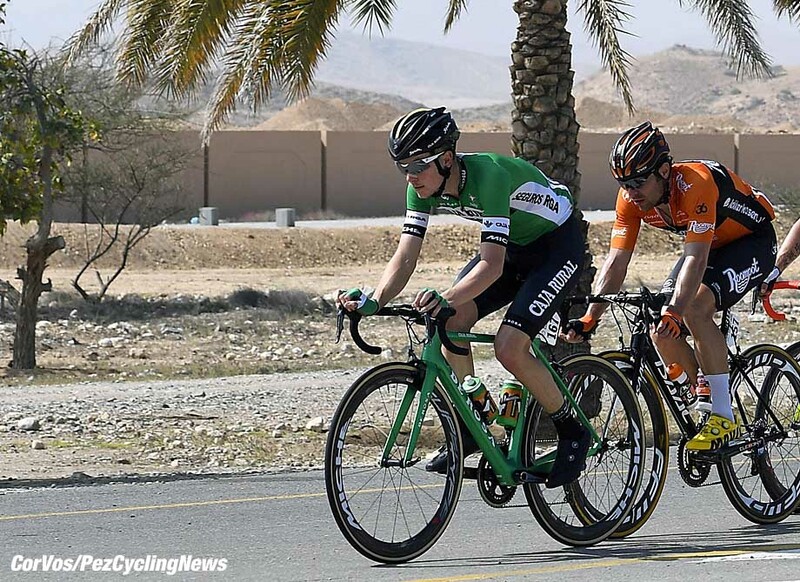 But season 2016 riding for top Dutch u23 team SEG Racing Academy saw the results take on a different complexion with stage wins in Bretagne and the l’Avenir as well as second on GC and best young rider in the Oberosterreich Rundfahrt in Austria. 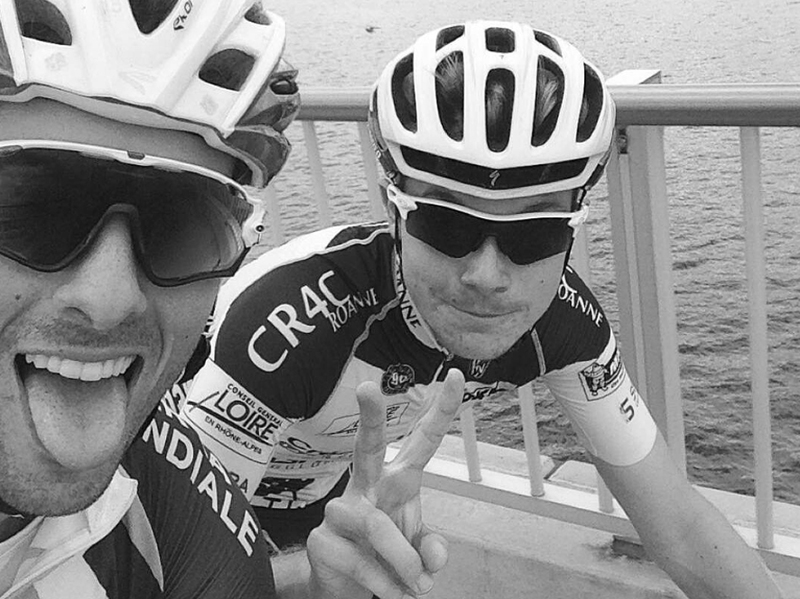 With icing on the cake in the form of a stagiaire ride for Orica-BikeExchange. 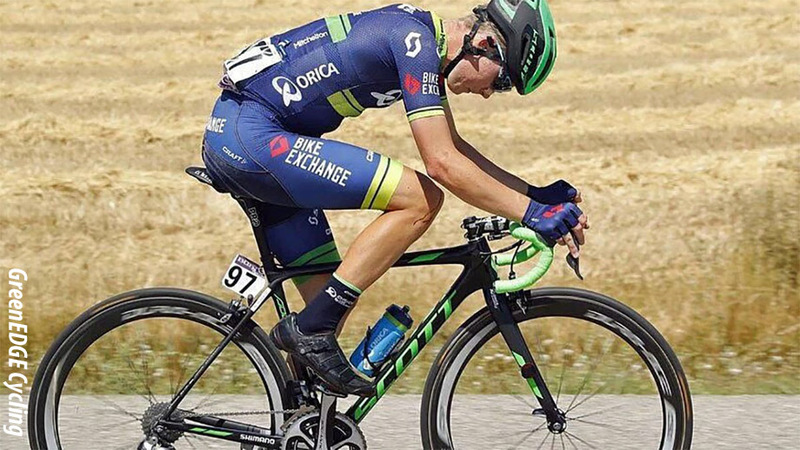 The Aussie team didn’t sign him back then - he spent seasons 2017/18 with Caja Rural – but they have now – best ‘have a word’ we thought. 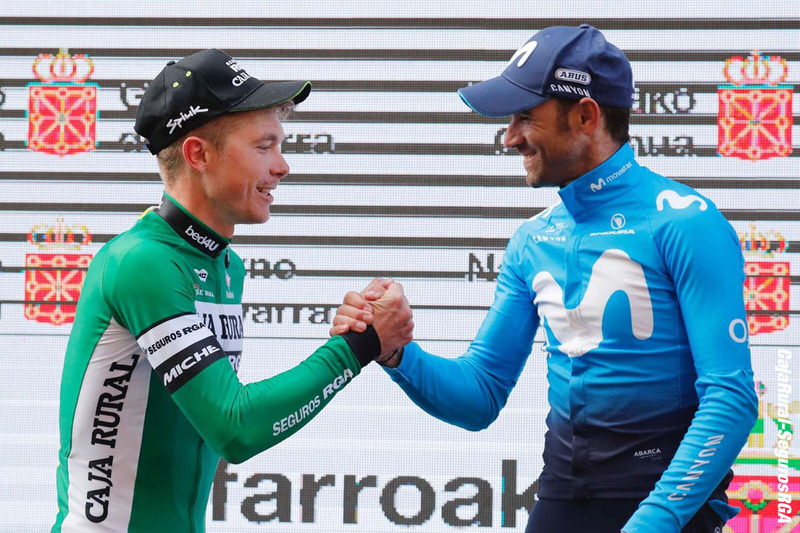 PEZ: Nice job on the stage win, Nick; you're obviously in great shape after your winter training. Nick Schultz: Thank you. My shape was a pleasant surprise. Training has been going well aside from a small knee problem that prevented me from doing some strength and higher intensity work on the bike. I came back to Australia in December and was able to get some good training logged before starting my season at the Nationals in early January. Looking forward, I still have some specific work to build on, so there is some work to do yet. I don’t think so. As a team we had Lucas Hamilton as our leader. He was in amazing shape and knows how to lead the team. My job was to be a key support rider for him on the two harder stages. It just so happened that from doing that, I was in a position where I was trying to put pressure on the other GC riders challenging Lucas. As a team we had a target of pulling off a stage win and a high GC placing. The way that Stage Four evolved, meant that I was in a position where I could potentially achieve both of those things. I have to really thank the team, especially the director (Matt Wilson) and Lucas, for having faith in me to try and deliver that goal once I was in the key move. 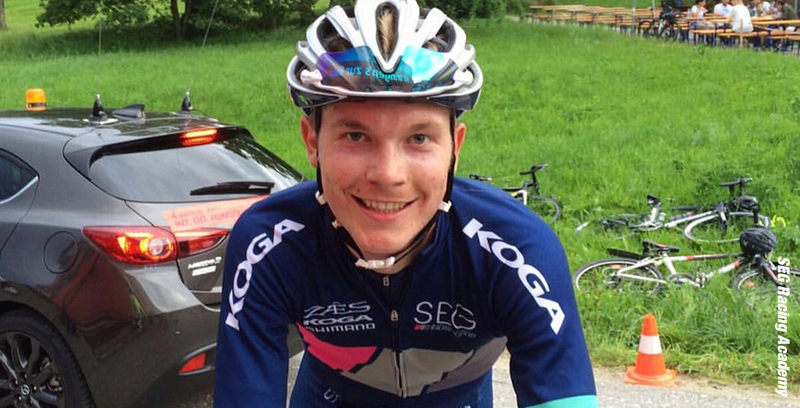 PEZ: You were stagiaire with Orica but no contract; how did it fall into place this time? I guess that’s something you would have to ask the management at the team. 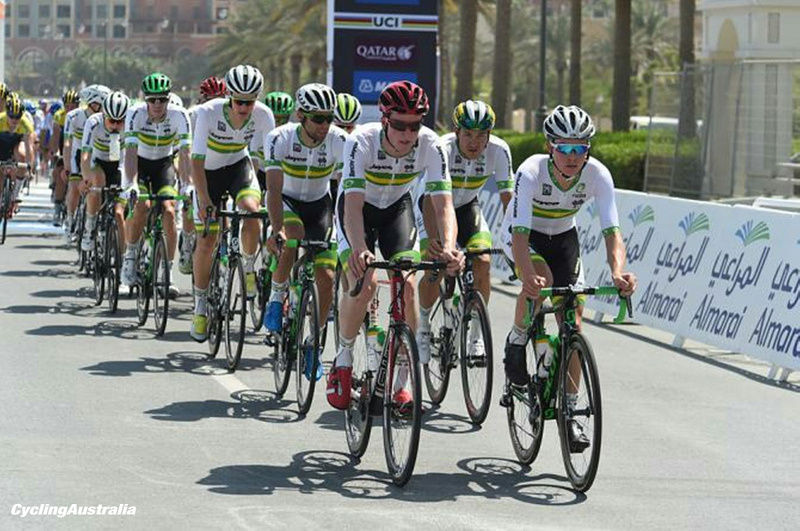 My Orica stagiaire gig was an amazing experience. 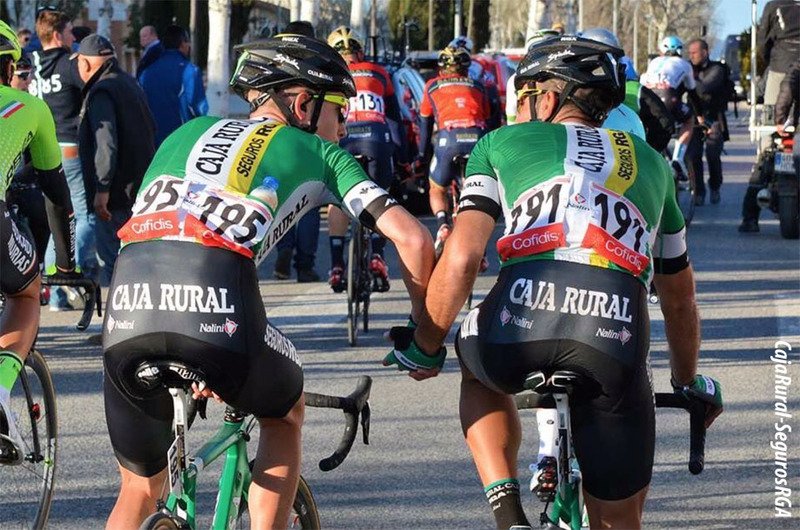 I learnt so much and took that with me into my first two years pro with Caja Rural. Matt White had been following my progress and we started chatting about the possibilities for 2019. I was very humbled to have him contact me. PEZ: It must be nice to speak English round the dinner table after your Caja Rural days? For sure. It’s great to be in a familiar culture. It feels very homely and I think that the atmosphere in the team is a key factor to their success. I also loved trying to integrate into the Spanish culture. I’ll certainly try to continue speaking in Spanish with our Spanish speaking staff and riders here at Mitchelton Scott. PEZ: Did you take much time off after Varesine? I took four weeks completely off the bike. I had a little holiday in Italy with my girlfriend and spent the rest of the time enjoying the local Catalan cuisine and exploring a few places. A great refresh and a crucial period leading into 2019. PEZ: Did the team have training camps November, December time? We had a get together in October before the season of 2018 had finished. It was a camp where we could try material and meet staff and riders. Other than that, we had the trust from staff to go about our training at home. I really appreciated this and made the most of being able to train and live a normal life outside of that. PEZ: Are you connecting with any old team mates at Mitchelton? There are some Australians on the team that I have been with on National teams over the years, so it’s nice to be on a team together again. PEZ: What's it like changing bikes after two years on the same set up? It’s not always an easy thing. It takes a bit of time, but everything was dialled in and ready by the time Nationals came around. PEZ: Will Girona still be 'home'? 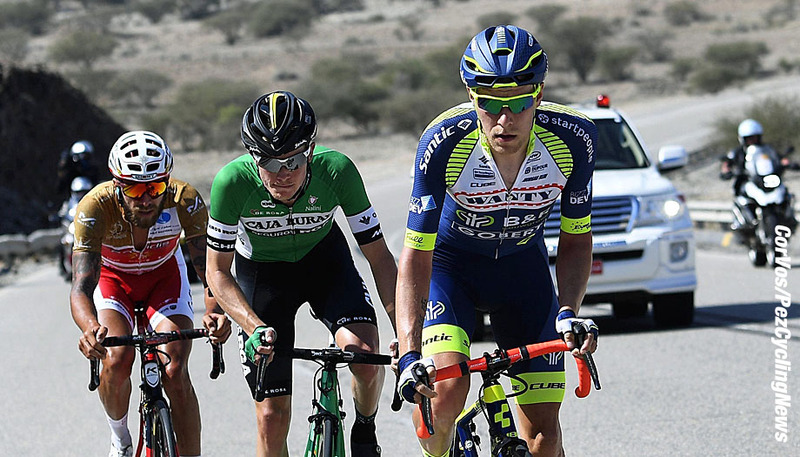 PEZ: A second Vuelta in 2018, how did it compare to the first? I found it a lot more ‘doable’. Knowing that I got through it in 2017 was reassuring. I was better at managing my effort and was able to get stuck in on a few stages. PEZ: And you rode the Italian triptych of Emilia/Beghelli/Varesine - what was that experience like? I enjoyed racing those one day races in Italy. It was a little bit hard to keep the motivation after the Worlds in Austria. But they were great races to end the year. PEZ: What was the hi-lite of 2018 for you? Finishing third in the GP Indurain. It was special to stand on the podium with Valverde and Verona. PEZ: How's the programme looking? I have a little period now to concentrate on training. I’ll head to a team training camp for 10 days in February before starting my European season at Strade Bianche most likely. PEZ: Have you set yourself any objectives for 2019? I would love to be selected for one of the Ardennes classics.